5Times take Liverpool Legends to meet Liverpool fans all over the world and in the next couple of weeks will be visiting three UK cities with heroes from that night in 2005. Fancy being there with them? Anfield Road is teaming up with 5Times to give away a pair of Meet and Greet tickets for each of the upcoming shows – so two tickets each for Plymouth, Birmingham and York. 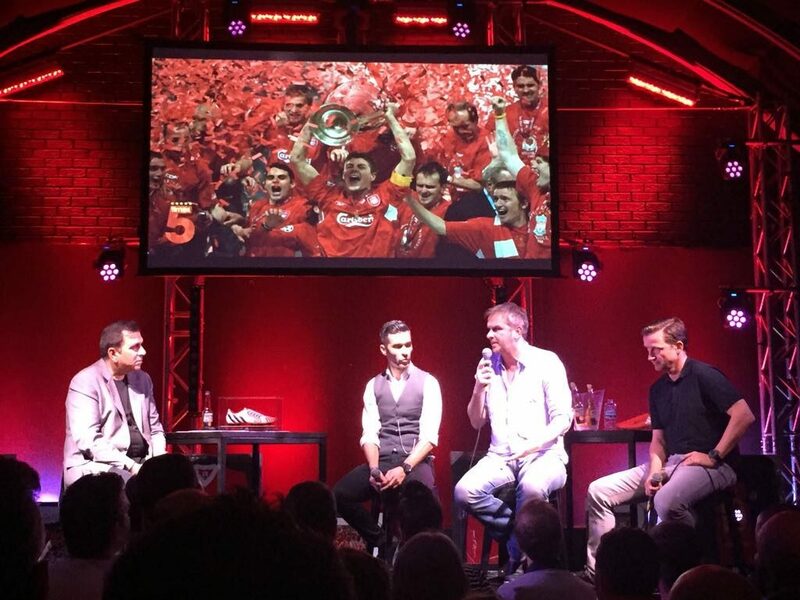 This is a very rare chance to meet three of the heroes of Istanbul all in one place, all in one night, and to be at a very special show where they’ll talk about the highs, lows and of course laughs of arguably the greatest night in LFC history – and the route they took to get there. Meet and Greet tickets give you the chance to shake hands with the players themselves and to bring something along to have them personally sign. You’ll also be able to get your photo taken with the players to help make the night even more memorable! Tickets are also still on sale (see links below) and if Meet and Greet isn’t for you the general admission tickets are well worth the money too. As well as being a great laugh listening to the players’ take on the game both now and then you get the chance to take part in auctions and raffles for some very special and rare sporting memorabilia. It’s a night you won’t forget. Fancy meeting some Reds legends from THAT night in Istanbul? We have teamed up with 5Times to give away TWO Meet and Greet tickets for each night of the 5Times Istanbul tour in Birmingham, York and Plymouth. Just fill your details in below and answer the simple question to be in with a chance. Please state your age range. Entry is free, winners to be picked at random from all correct entries received by the closing date. Entrants agree to the 5Times Mailing List terms and conditions which can be found at https://5times.co.uk/list-terms/. The prize is a pair of Meet and Greet tickets to the show stated on the entry form - one pair to be given away for each night. Prize does not include transport, accommodation or other costs. Prize cannot be exchanged for cash or used to obtain refunds for any existing purchases. 5Times decision is final.